Alrighty, off the heels of two pivotal September 1st shows, I figure it’s best for everyone if this week is the first for the September match vote. So that’s actually a fairly balanced group. Now, Tanahashi vs Ibushi, that was one of the best matches I’ve ever seen, so that’s getting my vote with very little need to think. Anyway, now that we’ve got that established, let’s see what we have to work with this week. 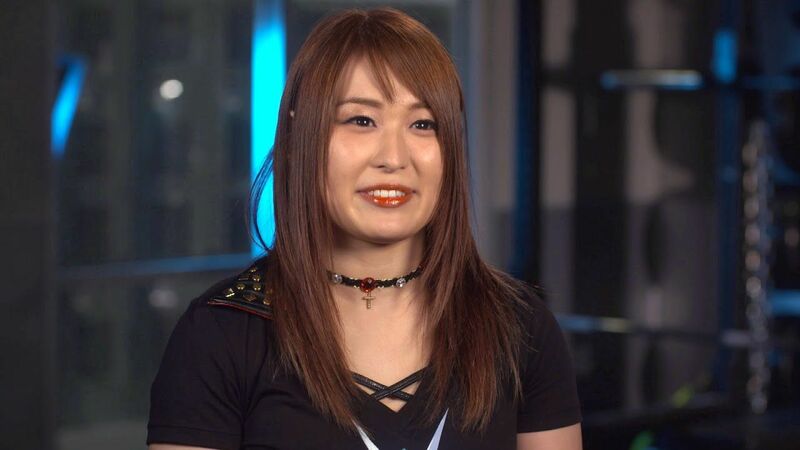 Now we all know I have a Tam bias, but her opening promo was very subdued. She seems to want to prove she’s gotten better and to make a statement after JAN refused to join STARS during the draft and went independent. Kyona on the other hand is her usual energetic and fun self, with a small dig that the result will be the same as last year (Kyona beat Tam last year). So this seems to have some personal feelings involved. Well Tam wanted to prove something right out the gates, and tries to exchange shoulder tackles with Kyona, to no avail. Sadly for Tam, this would lead to a long period of Kyona dominating. A number of Should Tackles, Sliding Lariat, Dropkicks and general strikes just leave Tam kicking out of multiple pin attempts. Things continue to look bad for Tam as Kyona drives her into the corner, but a few weak Forearm shots prove Tam still has some fight. Kyona shrugs them off and tries to send her into the ropes, but Tam reverses and lands a Flying High Kick, for her first real offense all match. The women trade corner maneuvers as Tam hits a Double Knee, Kyona then follows her back for a Splash, Tam follows Kyona back for a Single Knee and Kyona gets a small edge after following in with a Lariat. Kyona goes to whip Tam into the corner, but Tam reverses with a crisp Step Up Enzuigiri. Tam lands her Cartwheel Knees and gets a 2 count. More back and forth from both women, until Tam catches Kyona with a full extension Standing Side Kick, sending Kyona to the outside. Tam doesn’t waste the opportunity and goes to the top rope for a Crossbody into the seconds on the outside, but hitting Kyona fully across the shoulders. Tam rolls in Kyona, hits a beautiful Spinning Crescent Kick, but Kyona grabs the bottom rope to break the count. Tam’s reaction was fantastic as she looked furious. Tam goes to the top rope again, Kyona cuts her off and seems to attempt an Avalanche Scoop Slam, but Tam fights her off. Tam grazes Kyona with an Axe Kick, and continues to attempt a high risk move. Kyona charges a couple times as Tam kicks her away, but Kyona eventually catches Tam’s foot and pulls her off the ropes, crashing to the mat. Kyona goes for her Hammer Throw Powerbomb, Tam slips out and then the counters begin. Tam catches Kyona with a High Kick, goes for a Running Knee, but Kyona catches the knee, attempts a Sitout Powerbomb, but Tam slips out again, misses the Buzzsaw Kick, but hits and Back Side Kick, for only 2 again. Tam tries to grab Kyona for a German Suplex, but Kyona fights it off until Tam keeps wrist control and pulls off a Rainmaker German Suplex Hold (shuddup, that’s what I’m calling it), for only two though. Tam goes for the Running Knee again, but misses, Kyona Sliding Lariats Tam’s back, which is important because Tam has been favoring her back most of the match. Taking advantage of that. Kyona puts Tam in a Canadian Backbreaker, but Tam doesn’t quit. Kyona spins it into a normal Backbreaker across the knee, and Tam’s face tells the whole story. Kyona goes for the pinfall, but Tam kicks out at 2. Kyona immediately goes to the Half Boston Crab, but Tam gets to the ropes. Very quickly Jungle goes to the top rope and hits a Body Splash across Tam’s back, drags her to the middle of the ring and sinks in a Scorpion Deathlock (aka Sasori-Gatame, aka Sharpshooter). Tam tries to hold out, but eventually taps cause her back can’t take it anymore. This was just a story of no one giving Scurll a shot since he’s a Junior Heavyweight and Okada is…well…Okada. 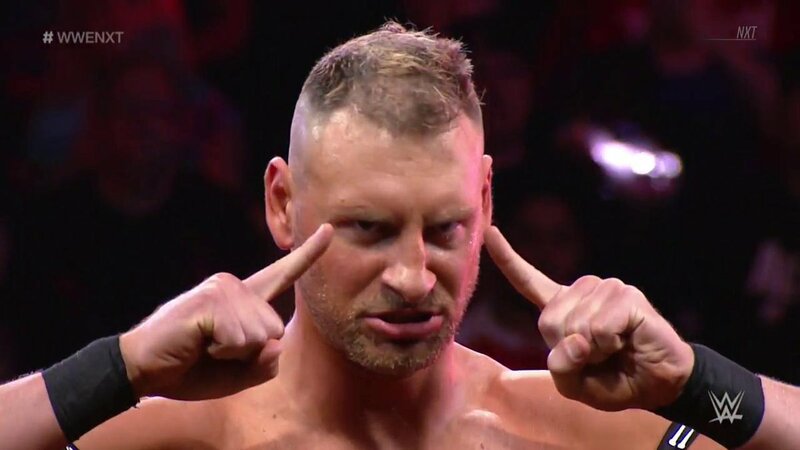 So will Okada send Marty to 205 Live, or will Scurll step it up? Well now we get the best worked match of the night, and yes I’ll say that before the last match since 6 Man Matches usually always have a ceiling. Scurll had something to prove and he really did continue to bring it to Okada. The Rainmaker was cocky early, under estimating Scurll, but he had a ton of close calls and good moves. The whole crowd popped for a Kawada style Powerbomb from Scurll which gave the first real false finish. We get a ref bump to set up a spot I haven’t seen in a while, with Marty getting the umbrella and then opening it up to stop Okada mid Rainmaker. Usage of the foreign object follows, but only a 2 count. 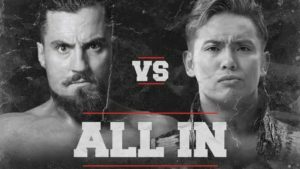 Scurll goes for the Chicken Wing a couple times, and looks to be close to getting Okada to tap out, before Okada does the Okada thing and fights through. An amusing reference to the 2-0-5 joke from BTE gives Marty a small glimmer of hope, but the adrenaline rush wears off, Rolling Rainmaker into proper Rainmaker and Okada wins. Marty did prove he can hang with a heavyweight, and even though people tend to get on Scurll’s case about being a bad worker – this was a great match. Flight, was Marufuji’s 20th Anniversary show, that was basically a culmination of all of Misawa’s lost children. As we all know, NOAH broke off from All Japan, but in 2013, a bunch of NOAH talent left to return to All Japan. Two of those wrestlers, are Aoki and Akiyama. Is the celebration of Marufuji’s career gonna be civil or will the problems bubble up? This match played out with a lot of vitriol. Sugiura and Harada both got in as many shots on Akiyama as possible, and just like his proteges, he took it and asked for more. For those who don’t know, Akiyama was about a generation below the Four Pillars of Heaven (Misawa, Kawada, Taue and Kobashi), so he had matches with and trained closely with these legends. Now since he’s the President and co-head booker of All Japan, there’s a ton of bad blood. I made mention of this in my Champion Carnival coverage when Marufuji faced Akiyama, and this was an extension of it. You see the pride that Sugiura, Marufuji and Harada have in NOAH, so years of frustration were taken out on Akiyama. Sadly for Aoki, he was kind of an after thought, a good wrestler in his own right and also part of the betrayal, but Akiyama is such a prominent face of All Japan, they made a statement. The fact it ends in a draw was beautiful because it ends with Sugiura and Akiyama in the ring, Sugiura kicking out of the Wristclutch Exploder and Akiyama kicking out of the Olympic Slam as the time then runs out. 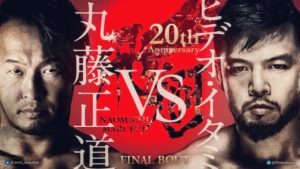 Sugiura and Akiyama had a palpable tension, so maybe Akiyama will be involved in a NOAH tournament or have a match with Sugiura in the future. Great match, made better with a little bit of context. 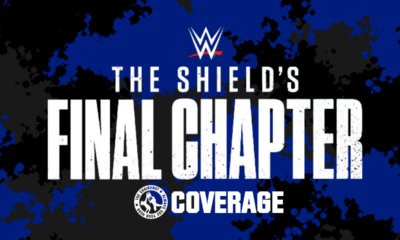 Both men had their own teams accompany them to the ring, and we all know the story with Cody’s lineage and Nick Aldis reviving a dead brand. Let’s see how the match plays out, Dealer versus Nightmare. Well this is what wrestling was and why we all watch. It’s not for flips and false finishes, it’s for a story being told like this. 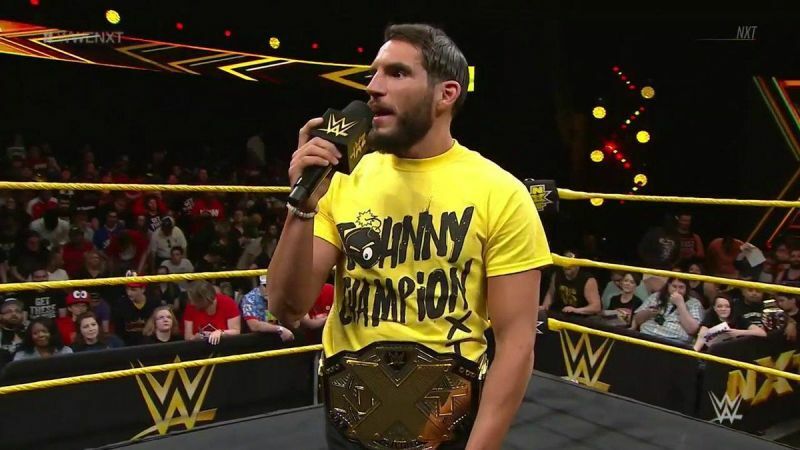 The best way I can describe this match is, it was a love letter from Cody to Dusty. If you don’t enjoy the old 70s/80s style of wrestling, you’ll feel that I’m way off base. But given the 70th anniversary of the NWA, the involvement of a Rhodes and how much we know Dusty meant to Cody, this was a deeply layered match. We had the old school blade job moment, where we got to pop for Diamond Dallas Page hitting a Diamond Cutter on Shawn Daivari. We even saw a sweet moment between Brandi begging Cody that he didn’t have to continue and then throwing herself on top of him to absorb the Elbow Drop. Let’s not undersell how good Aldis looked in this match also, especially when he accidentally hit Brandi, to prove he’s not a bad guy. Then he kicks out of the Crossroads, and the match hits that point where you’re not sure who will win. 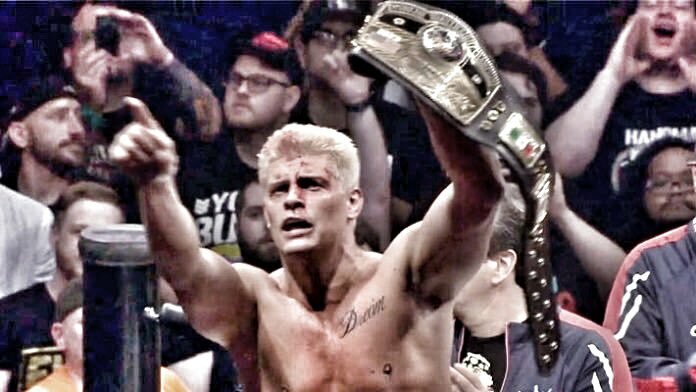 Aldis goes for a Sunset Flip, but Cody sits down and sinks in the Double Leg Cradle, and gets the pinfall victory to become the first ever second generation NWA Heavyweight Champion! Can’t be upset with the match or the story. Could it have been crisper or could there have been a quicker pace, sure, but a faster pace would’ve hurt the story of the match. Just a tremendous story driven match, watch it, it’s hard to really convey the poignancy of this match. Now Flight was Marufuji’s 20th Anniversary Show, so of course he gets the main event. Context again, KENTA and Marufuji sort of came up together. They were the inaugural GHC Junior Tag Team Champions, and had one of the biggest and brightest rivalries in NOAH after Misawa and Kobashi. 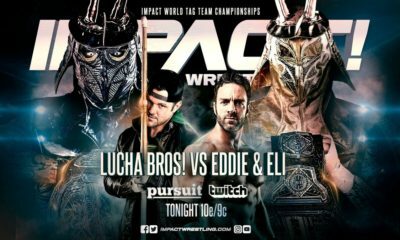 So getting this match one more time, new name or whatever, this had the same kind of emotional weight for people like Cody vs Aldis. The fans chanted KENTA regardless of his billing, and Sumo Hall buzzed like the older glory days of NOAH. As for the match, this had a bunch of callbacks to their history. From Hideo pulling off moves he hasn’t done since leaving NOAH, Marufuji pulling off a Spanish Fly (which we don’t see much since he’s older and he’s knees are shot). Marufuji kicked out of 2 Go to Sleeps, Hideo kicked out of a Shiranui, and we all know how this had to end. It was used before, but since the show was a symbol of Marufuji’s journey and NOAH still being alive…Emerald Flowsion had to end the match. From a critical point of view, Marufuji didn’t execute an apron Piledriver well, as well as, Hideo messing up on Go to Sleep and immediately doing it again. So there were some hiccups, which don’t get a pass, but the crowd seemed forgiving. Fantastic energy, mostly great work, numerous callbacks, just great. The match should be more than enjoyable for anyone, with or without historical knowledge. So with the top two being similar when it comes down to emotional ties, it’s hard for me to decide. 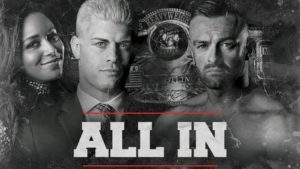 Personal bias completely in tact, I’m voting for, NWA Championship Match: Cody vs Nick Aldis. You saw me say bias and assumed the Japanese match didn’t you? Stop listening to Chris Platt, he’s just making up stuff! This should be a really interesting week and August will be something also. But I trust everyone who votes with USE THEIR HEAD, so let’s see how this all plays out.